Just wondering about Russian money and how acceptable it now is with the recent nerve gas attack here in the UK? For Williams, it was clearly acceptable with thousands of people killed in Ukraine and another 298 shot down in MH17, so I think it will be acceptable now. For me, it was hardly acceptable then, and is hardly acceptable now. So, I guess, it depends. I thought about the Venezuelan sponsorship too. Not really that different fundamentally to the Russian Cash! Both as bad as each other in one respect. I wish we didn’t need this type of revenue stream! Can someone shed some light on a name that adorned the FW07 livery? TAG or Leyland? You don't want any insight into Leyland. It was the combined failure of the UK motor industry under pressure from unions. Many legends like Triumph, Austin, Morris and so on went into Leyland and the unions killed them all. Truly dark days for the UK. The commies took over and destroyed everything good. The Brits have Maggie to thank for rescuing the country from the Red's. She was quite some politician especially when she and Rupert Murdoch totally outwitted the unions in Wapping.What a great triumph that was!!! PDVSA cash came straight from VNZ government. They opted to spend it on Pastor rather than improving their infrastructure of investing it in something that would generate some kind of return when the price of oil inevitably dropped. 30M a year is chump change for a company like PDVSA, sure, but it's still $30M that could've been spent better. It was all part of the propaganda machine to make Venezuela look good. The PDVSA-Williams deal is, at the very least, a nice illustration of what Chavez and his cronies did wrong. Venezuela is going through a substantial crisis ATM. Sadly. And avoidably, too. I don't think there are as many paralleles between Sirotkin and Maldonado. Sirotkin's cash doesn't (officially) come directly from the Kremlin. If the russian private sector wants to waste their money in F1 then be my guest. AFAIK, it's not from a state company. The only similarity would be if Sirotkin's russia connection poisons the image of Williams. I think PDVSA drove a few sponsors away. Maybe the russia connection will do the same thing. Who knows. Edited 1 time(s). Last edit at 15/03/2018 16:39 by j-s.
Yep. Maggie was essentially the saviour of the UK. We could have ended up like most poor, european countries. She put the backbone back in Britain. We have a lot to thank her for. @ Ozzy...Can you imagine Maggie's ascerbic wit regarding that Left Lunatic occupying the opposition seats at Westminster ? Hahahaha She was one of a kind, unfortunately. Interesting qty of Maggi supporters on this site! That’s surprised me! I had it in my head that most people would have prefered Michael Foot! I just see the Russian money as a necessary evil and thought the same about the Pdvsa cash too. If we can find some performance, please let us find some performance, then perhaps we can extract ourselves from trawling the gutter for cash and get a proper major sponsor and a couple of decent proven drivers. Foot was a commie, like Corbyn. Yes K1, you are right. Maggie would put Jeremy right back in his box. Shame really. Those were good days. I wonder whether the rapidly deteriorating relationship between Russia and UK might lead to Sergei being dropped by the team by Oz or shortly after Oz. UK papers this morning are talking about targeting Oligarchs close to Putin via sanctions and it is quite feasible that trading with these businesses may be restricted in the very near future. I can't believe blue chip UK businesses like BT and Unilever (appreciate they are becoming Dutch domiciled) will be that supportive, and with the declining relationship between the countries if I were Williams i'd be looking for a way out of the contract. Put it this way if Maclaren are targeting our sponsors, Williams need to deal with any weakness in their corporate position and that means having a sponsor pool that resonates corporate responsibility and SMP Racing looks less impressive at passing the sniff test than a few weeks ago. So those who support Kubica, I just sense there's a possibility you might see him racing shortly.. Politics, aside from the ones being executed inside the sports, have never had influence on F1 in recent years. The Bahraini riots, the first Russian Grand Prix, Azerbaijan and its human rights violations, South Korea and its ever impending war with North Korea and I can keep the examples coming if I want to. This issue between the UK and Russia is more "domestic" than the British may think. It is hardly called news anywhere else in Europe. So I dont think it will be of any issue for Sirotkin. Why should it bother anyone? The Tory party doesn't mind Russian cash at all. Boris gets a 160,000 donation for playing Tennis with Lubov Chernukhin, who also paid 30,000 to have dinner with Gavin Williamson. And have a chat with Knight, Frank the Estate Agents. Any Russian buying a property over 2m in London can get UK residence . . . and they don't question where the money came from. Which is why the UK is full of Russian gangsters. Especially Kensington and Chelsea. These people are liars and hypocrites . . . and if anyone does start throwing mud at Williams they might just get it back with interest. At the moment Gazprom sponsor major football events, don't see that putting off other sponsors in future. 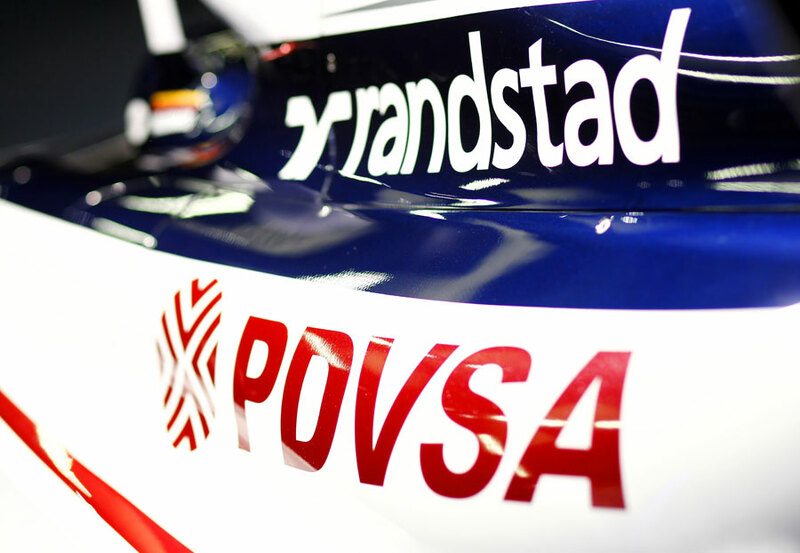 I don't think it will be as bad as the pdvsa days, I really do think that put sponsors off.